My boss had just announced he was going to retire and that’d we would be losing our jobs at the end of the year. I hadn’t quite committed completely to my future plans yet. Then just by chance, I saw an amazing promotional offer… I could get $200 cash for signing up for the Chase Freedom credit card. They would actually just give me money to sign up for a new card? No annual fee or anything like that? Of course, the fine print was that I had to spend $500 dollars within the first three months in order to get my bonus. But that was easy enough… That meant I only needed to spend about $170 per month to meet the promotional requirement. So I just put all my regular day-to-day expenses on the card and paid the balance off in full each month. Be sure to activate the setting that will automatically pay off your balance in full on the due date! By doing that I could ensure that I would never be hit with any finance charges or late fees and that the $200 was completely free. Don’t miss the FREE printable travel hacking tips at the end! I used part of that $200 to start my travel blog, actually. With all the money I had been trying to save, and all the outdoor gear I was buying (or wanting to buy), I otherwise would have been reluctant to shell out the money for a domain name and web hosting. But thanks to Chase Freedom bonus money, I looked at the money as an unexpected windfall. And rather than blowing it on some shiny new toy from REI, I decided to invest that money in myself by starting this website. Buying that domain name not only held me accountable to following through with my dreams of travel and adventure, but it set me off down a path that I never could have imagined… Backpacking through Colombia (where I met Andrea), driving through all of Central and South America, writing a best-sellling travel book, and so much more. Chase Freedom. They picked a fitting name, at least for me. It was thanks, in part, to signing up for a credit card that I pursued my own path of freedom. Good news is they have another cash promotion available: $150 for free, just for signing up and spending $500 within three months of opening the account. Sorry, it isn’t $200, but $150 is still a pretty great bonus, which amounts to 30% savings on that $500! And they hook me up with a 10,000 Chase Ultimate Rewards points for referring you… So it’s a win-win for both of us! Apply now for the Chase Freedom cashback bonus. There are no annual fees with this credit card. Ensure you can charge at least $170 per month for three months on this card in order to meet the promotional minimum. To do that, I would just redirect your regular spending to this card for the time being. Think: cell phone bills, gas, eating out, whatever. It shouldn’t be hard to meet the minimum spend requirement here. If you have a big purchase of any sort coming up, even better, just put that on the card and you’re that much closer to meeting the requirements. Obviously, if you believe this would cause you undue financial strain to try and meet the minimum and/or pay off the balance in full each month, DO NOT sign up for this offer. Check out my post about conquering your debt instead. Set up automatic bill pay to pay the balance in full. This is very important! Automation makes everything much easier and you don’t put yourself at risk for finance charges or late fees… Ever! I can not recommend automating your finances enough. Not just for credit card payments, but for paying your monthly bills, putting part of your paycheck direct to savings, or even investing in the stock market. Automation frees your mental energy for other activities like monitoring your spending through something like Mint.com and identifying areas where you are spending too much and should be saving more. This $150 bonus is free money. But please don’t go out and spend it buying more things. Use this money to buy experiences, information, or invest it in yourself. I used the money in part to start this blog, which changed my life completely. I think starting a blog is a great idea for so many reasons (here’s why) and find out how easily you can start a blog. But you could also invest that money in an online course to learn a new marketable skillset. Maybe one that you could leverage into future freelancing? Like web design, SEO, or even freelance writing. You could use that money to buy 15+ Kindle books to educate yourself and change your future. Or put that money towards some unforgettable experience like skydiving, or bungee jumping, or just hitting the road for a long weekend. Just not more things. The promotional bonus actually comes in the form of 15,000 Ultimate Rewards points, which can be redeemed for $150 cash at the click of a button, or you could use them for travel, if you also grab a so-called Tier 1 Chase card which allows you to transfer the points for travel programs. The Chase Ultimate Rewards are one of the best point systems out there because they are 1:1 transferable to many other travel rewards programs, like United Airlines or Marriott. The 15,000 points can be enough for a free domestic flight with United, or it’s definitely good enough for two free nights in a Category 1 hotel with Marriott. It’s best to take a look at the travel value and the cash value, because you may be able to exceed the $150 cash value with a travel redemption, or you may just prefer the cash in your pocket. Credit card hacking is quite lucrative. 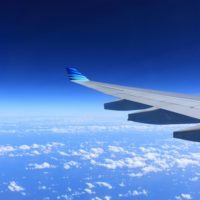 Pure cash is an exciting bonus, but there are actually far more valuable credit card bonuses out there, namely those related to travel hacking, like for airline miles. As I mentioned, you can use the Chase Ultimate Rewards points with this card (if you grab another Tier 1 card), but you will find other cards with much better promotions for purely airline miles, which will get you way more travel. 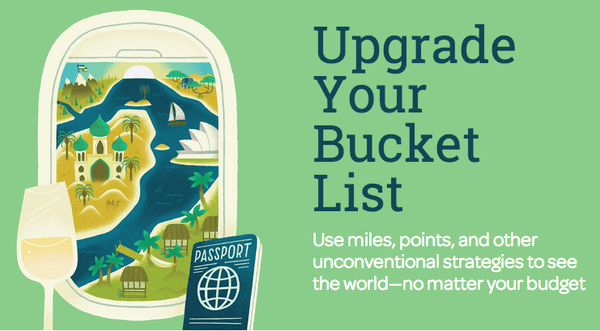 After the Chase Freedom bonus, I got educated about travel hacking through Chris Guillebeau’s Unconventional Guides and started signing up for much more lucrative offers which have saved me thousands of dollars in flights since then. Like that time I booked a round trip flight between Medellin, Colombia and Seattle, Washington and it only cost me $117.06. And the entire return leg of the flight is First Class. Say what?! That same itinerary purchased outright would have cost me well over $1,000. Or there’s the sometimes overlooked world of hotel points cards, where you can redeem for free nights in upscale or luxury hotels all around the world — you could even combine BOTH of these offers and end up with 90,000 points in Marriott which is enough for two free nights in their absolute fanciest hotels… Like, we’re talking crazy nice, like The Cove in the Bahamas (which costs more than $600 per night), or their Times Square Property in NYC, or many more. The Chase Freedom cash back bonus was my first step down this path. It can be yours too. It’s a great stepping stone into travel hacking with almost immediate gratification and a very low barrier to entry. Get $150 cash back for free just by spending $500 in total within three months of activation. It's like an instant 30% rebate on all your spending. As mentioned, by signing up through my link you receive a $150 cashback bonus with no annual fee or other tricks. I use this same card, and in turn I will receive bonus points for referring you. It’s a win-win! 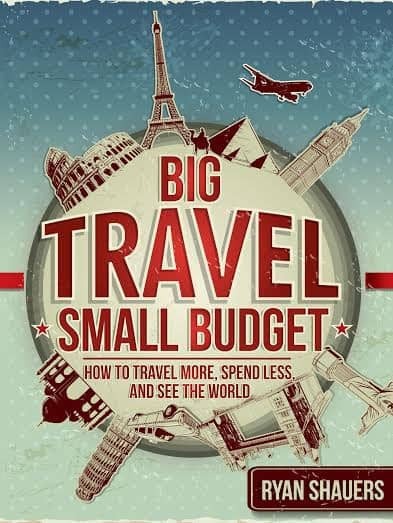 Travel hacking is quite simply the best way to reduce your travel expenses, travel on a budget, or even just to take a free vacation every year. You should already have a good handle on the fundamentals of personal finance, including not carrying a balance on any consumer debt before you get started. 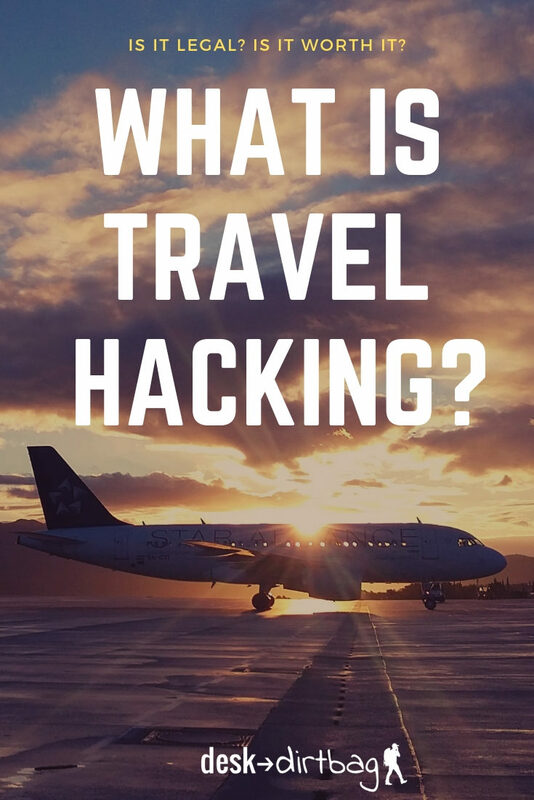 Free travel via travel hacking ONLY makes sense if you aren’t paying high interest to get it! Identify your travel goals and timeline, including whether you are targeting free flights or free hotel stays to start with, what airline network best services either your local airport or your dream vacation. Find the best credit card for travel hacking that will help you meet your goals. I love the Barclay AAdvantage, Chase Sapphire, and Chase Marriott Rewards cards. 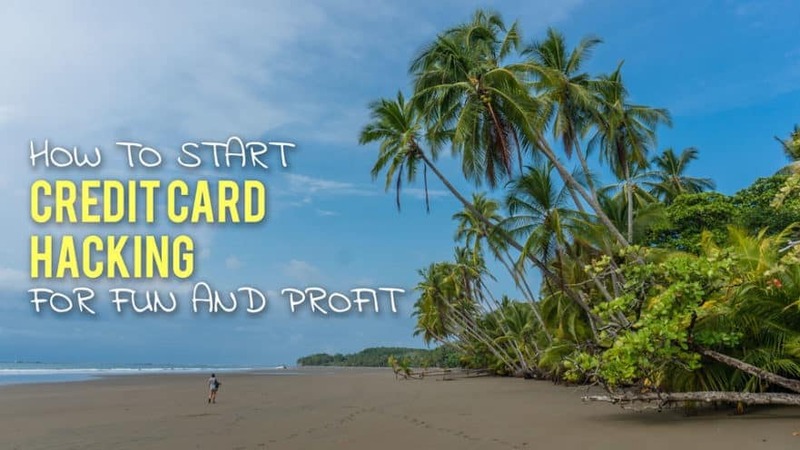 Apply for your credit card before any big expenses (existing travel, electronics, auto repairs, taxes, etc) and put all of your recurring bills or other expenses onto the new card. Read more about credit card minimum spend tricks. Put a note on your calendar 11 months from now about the upcoming annual fee, this will ensure that you can call to either cancel or downgrade the card before the fee hits. I use Google Calendar for this. Sign up for Mint.com to track your spending on this new credit card to ensure that you meet the minimum spend. Mint is also a great way to help manage your personal finances in general. Join Award Wallet to keep track of your points and miles across all loyalty programs to ensure that you don’t forget about them and accidentally let them expire. Keep maximizing your point earnings by joining airline dining programs, using the airline shopping portals, and double dipping on points by buying gift cards for upcoming purchases. Enjoy your travel hacking lifestyle and the ensuing free vacations! WARNING: it will make you NEVER want to pay full price again in the future. 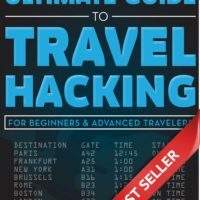 I hope this helped you get started travel hacking! I know it can be confusing when you are just getting started, which is why I started writing so extensively about it! If you have any questions about travel hacking, budget travel, or anything else shoot me an email at ryan@desktodirtbag.com.